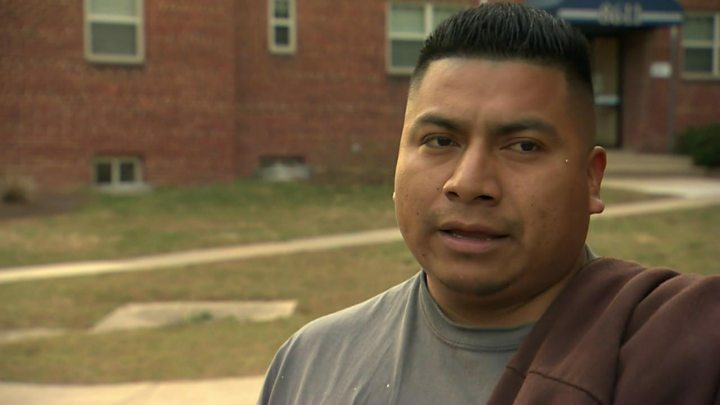 Despite language in a memo released by the US Department of Homeland Security this week suggesting otherwise, a programme for the undocumented family of US military members will apparently remain intact. This week, sweeping language in a new US Department of Homeland Security memo seemed to cancel many programmes and exceptions designed to spare non-criminal, undocumented immigrants deportation from the US. One memo in particular, signed by Homeland Security Secretary John Kelly, declared that "all existing conflicting directives, memoranda, or field guidance regarding the enforcement of our immigration laws and priorities for removal are hereby immediately rescinded". This language lead to fears that a programme called Parole in Place (Pip), which protects the immediate family of US servicemen and women from deportation, had been summarily wiped out. However, on Friday, a spokeswoman from the Department of Homeland Security clarified with BBC that Parole in Place is still a functioning programme. "The language [of the DHS memo] does not apply to Parole in Place for military members and their families," she wrote. The United States Citizenship and Immigration Services, which administers the programme, also affirmed that nothing has changed. "USCIS is still accepting/processing Parole in Place applications under existing policy for US military service members and their families," wrote a spokesman. However, neither agency provided exact reasons for why the new DHS memo does not apply to Parole in Place. The memo only named two specific programmes as exempt from being rescinded: the Deferred Action for Parents of Americans and the Deferred Action for Childhood Arrival (Daca). Immigration lawyer David Kubat said he is happy to hear that spokespeople for both DHS and USCIS say there will be no change to Pip, but he said he will not be at ease until this is confirmed by administration officials. "They need to clarify through official policy," he said. The Pip programme was designed to ease the minds of deploying military members who have an undocumented spouse, children or parents at home. It began in 2007, and was widely expanded in 2013 by Barack Obama. Denise Leon, a 20-year-old Daca recipient who was recently approved for Pip, was overjoyed at the news that the US government intends to keep its promise not to deport her. "That's great news," she said. "This programme that's going to help many people, many families, I believe that they deserve it. 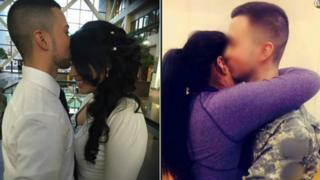 "It was their choice to serve their country - it wasn't their choice to fall in love with someone who is undocumented." She planned to share the good news with her husband, who is currently deployed overseas once he has permission from his commanders to phone home. Leon's immigration lawyer Terja Bouvin Larsen was also pleased, but frustrated that the administration would release what she sees as overly broad, careless language in the DHS memos. "If you look at the plain language of that memo, they basically threw everything out except the named memos, and so it's a little disconcerting that then they come back and say, 'Well, that's not included,'" she said. "It's affecting people's lives. It's causing people anguish," she says. "We have a whole community that is extremely terrorized right now."